Mr. Lopez is a retired Sergeant of the New York City Police Department. His career included assignments to the Police Academy, 44th Precinct, 20th Precinct, 110th Precinct, 114th Precinct, Public Morals Division, Organized Crime Control Bureau, and Community Affairs Division. He has held multiple positions throughout his career which include patrol operations, investigative detective operations, multiple supervisory roles, and working closely with the community he served. Mr. Lopez is an honorably discharged Viet Nam era Air Force veteran trained in ordinance, a graduate of John Jay College of Criminal Justice, a certified locksmith, and has completed NYPD training in such areas as Dignitary Protection and Crime Prevention techniques, in addition to completing the Hotel/Motel Fire Director’s Course. 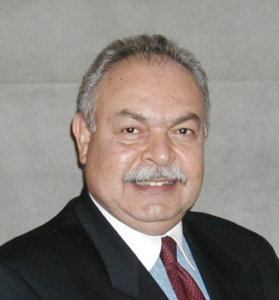 He is also a member of multiple organizations such as the American Society of Industrial Security, Board member of the Association of Retired Hispanic Police, Inc., Former President and current Board of Directors member of the Long Island Hispanic Chamber of Commerce and a Member of the Society of Professional Investigators. He is the current Director of the Alante Security Group Inc. Security Guard Training school and is a New York State Certified Security Guard Program Instructor. Mr. Lopez is married and has been a resident of Long Island for many years.